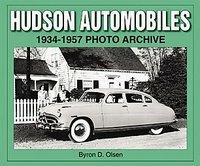 Hudson car books includes the history of Hudson automobiles and several manuals. The History Of Hudson by Donald Butler (1992). The most comprehensive record of Hudsons and related makes ever put together. Hudson Performance Portfolio 1946-1957 by R M Clarke (2004). Road and comparison tests plus new model reports from Europe, Australia and the US trace the progress of post-war Hudsons. Models covered include the Commodore, Pacemaker, Hornet, Wasp, Jet, plus the Italia and much more. The Cars That Hudson Built by John Conde (1980). The graphic story of one of America's most influential automobile independents which, from 1909 to 1957, produced Hudson, Essex and Terraplane motorcars. 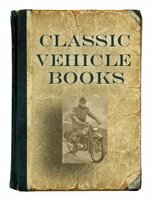 Roy D Chapin: The Man Behind The Hudson Motor Car Company by J C Long (2003) is the only biography devoted to the life and career of Roy D Chapin, one of the foremost figures in the history of Detroit's independent automotive industry. Hudson Automobiles 1934-1957 Photo Archive by Byron Olsen (Date unknown). A powerful engine, a low center of gravity, excellent suspension and steering combined in the Hornet to make it unbeatable on the stock car racing circuit from 1951 through 1954.